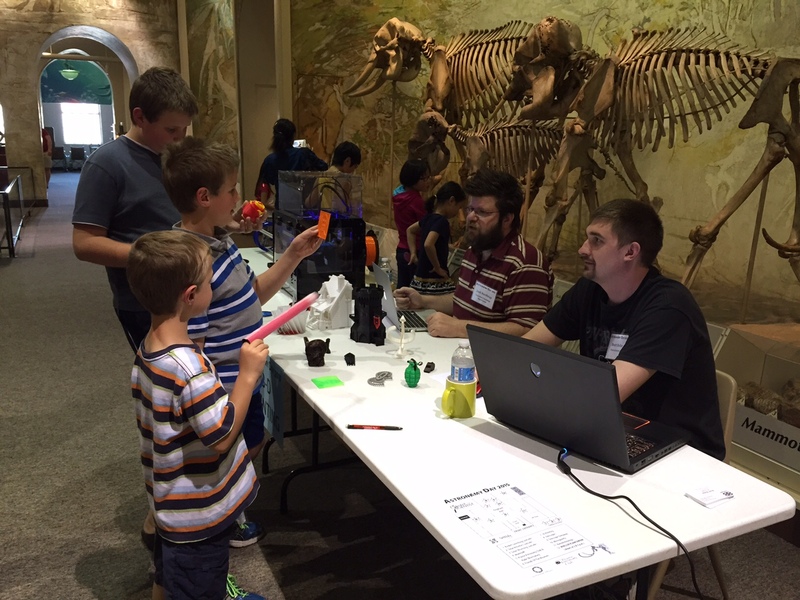 Young visitors learn more about 3D printing at a hands-on station during the 2015 Astronomy Day at Morrill Hall. The 2016 Astronomy Day will be celebrated from 1:30 to 4:30 p.m. April 17 at Morrill Hall. The University of Nebraska State Museum at Morrill Hall and Mueller Planetarium will celebrate Astronomy Day as part of the museum's Sunday with a Scientist programming from 1:30 to 4:30 p.m. April 17 in Morrill Hall, south of 14th and Vine streets. Children and families can interact with astronomers, engineers and physicists to learn about planets, optics, telescopes, space law, nanotechnology, 3D printing and more through hands-on activities. Mueller Planetarium will present "Solar Superstorms" on the fulldome screen at 2 and 3 p.m. The 25-minute film, narrated by Benedict Cumberbatch, explores a fiery tsunami on the surface of the sun. Established in 1871, the University of Nebraska State Museum is the state's premier museum of natural history. The museum is focused on promoting discovery in natural science; fostering scientific understanding and interpretation of the Earth's past, present and future; and enhancing stewardship of the natural and cultural heritage of Nebraska through world-class exhibits, collections and special events. For more information, click here.